Our students got to visit the moon, the jungle, and the Mayan ruins all in one class period. It doesn’t get much cooler than that. That’s the report from Brian Gannon, student learning and technology coordinator for the South Milwaukee School District. He was speaking of the Google Expeditions Pioneer program, in which select schools across the country are getting the chance to use virtual reality headsets to explore sites from around the world — universe, even. The Google Expeditions program is an expansion of the Google Cardboard apps that have become more and more popular. Google envisioned ways to use this technology in schools by allowing teachers to choose a destination and bring all the students there with the press of a button. Google began touring around the country with these last year and has visited about 20 major cities in the U.S. On April 4, Google began its first stop in Wisconsin by choosing a small number of schools, based on people who signed up for the Expeditions explorer program. Tammy Lind was one of those people. Google contacted Tammy about visiting two schools in South Milwaukee – Lakeview, and Rawson. As of now, Expeditions is just in pilot mode. In order to make it a reality for our schools in the near future, we would need to find/purchase a classroom set of old smartphones. We could then purchase the viewers (Google Cardboard) and install the expeditions app for teacher use. 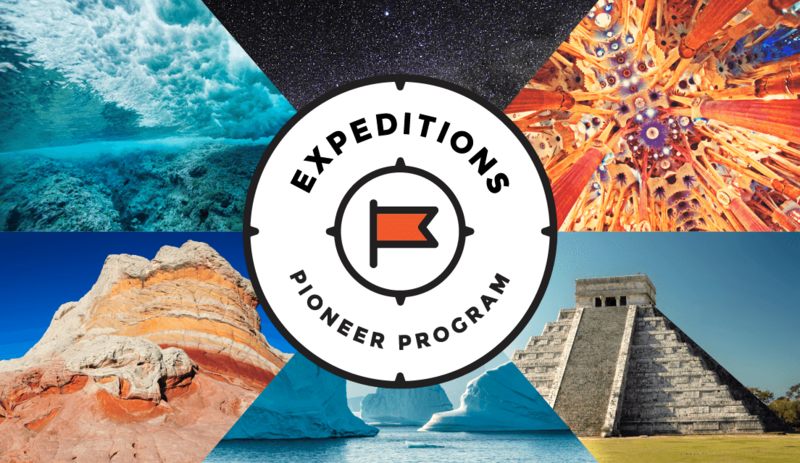 Learn more about the Google Expeditions Pioneer program here.